Mario Tennis Aces does so much right and so much so very, very wrong. On any given day, it can be hard to tell if this game is the answer to a lifetime of prayers for a new, quality Mario Tennis, or a cruel reminder of Mr. Miyamoto’s famous “A rushed game is bad forever” quote. Either way, there’s a lot to unpack with this game, so we’re going to dive right in and try to organize this review as cleanly as possible. Let’s start, as most Mario Tennis Aces players probably will, with Story Mode. Don’t get too excited – This isn’t the gameboy, and you aren’t about to embark on an epic, tennis playing rpg. Upon booting up the game, you’re immediately sent into a cutscene. The details aren’t very important (even the most die-hard story lovers amoung us don’t care about the plot of a Mario sports game), needless to say, an evil tennis racket threatens the world and only Mario can save the day… with the magic of tennis. And so you set out on what is essentially a tutorial/minigame collection, which will have you practicing shot control, aiming and more as you progress through the plot. There’s an RPG mechanic, which involves you collecting new rackets and leveling up, but it’s all very superfluous; there isn’t really any need for any of it, and it doesn’t do much to help you throughout the game. The only benefit to completing story mode is that you’ll be unlocking the other courts for use in Free Play (more on that mode in a minute), but that’s really it. Even the rackets you unlock aren’t usable in the main game, and there aren’t any characters or unlockables to collect for completing this mode. What you’re left with is an ultimately lackluster experience that would’ve been better turned into modes like Ring Shot from Mario Tennis 64 and the Mario Power Tennis Minigames. The unlockables in this game are one of the biggest disappointments. In every other Mario Tennis, you unlock characters and courts for completing specific objectives and advancing in the game. In this game, there aren’t any unlockable characters. The game teases you by giving you Mario’s overalls as an outfit (for having played the demo), but again, there aren’t any other unlockable outfits to be had. Even Star Mode players are missing from this game, leaving you with absolutely nothing to collect, short of a few stages from Story Mode. That aside, the actual gameplay is exactly what you want from Mario Tennis, and it makes this game feel like a natural evolution from Mario Power Tennis on the Gamecube. The game plays tight, quick, and honestly, it’s a blast. There’s plenty of computer difficulties to test your tennis chops against, and the game performs equally well locally and online, against strangers or friends. While you’re in a match, you’ll forget all of your other worries about the game, and just enjoy some good tennis action. Whether you choose to play in simple mode (which is essentially just classic Mario Tennis, plus the ability to dive for the ball) or with the new rules (which involves power shots, slowing down time, special attacks and, if you so choose, breakable rackets), the game is a blast. Nothing feels forced or unnecessary, and while it’s certainly an arcade-style game of tennis, it feels very much like a tennis game, not a gimmicky sports-lite title with Mario characters. Unfortunately, Free Mode is plagued with some of the worst menu design ever seen in a Nintendo first party title. Choosing a mode, whether you want to play singles or doubles, and what court you want to play on SHOULD be a simple, easy process, but the devs have made it horridly unintuitive and hard to do. For example, to choose a court to play on, while you’re setting up your match, you need to press the plus button to enter “additional options”, then set courts from random to “custom”. Then hit plus again, and set which courts you want to play on to “on”, turning all the other options off. This would have been so much easier to do with just a simple court select option during set up. That’s just one example, but almost all of these custom elements to your match will be hidden away like this causing setup to be a real pain. The absolute WORST part though, is that there’s no option to play an actual, full-length tennis match, even amoung friends or computer controlled players. You can either choose between a 7-point tiebreaker, or a 2 game match which ends at the first set. This lack of options which have been present in every other Mario Tennis game is a bewildering choice. It would be such an easy addition to have included, and it radically limits your ability to enjoy the game. Our final stop on this Mario Tennis Aces tour is tournament mode. Usually, this was the mode you would spend the most time in while playing single player on the old versions of the game. Mario Tennis Aces features two types of tourneys: Online and CPU tournaments. Online tournaments are a blast – you log in, start at the bottom of a tournament against other people who are just starting out, and keep advancing against other players who have as many wins as you do, until the final match where you go up against another “finalist”. It’s a fun, non-threatening way to approach online play, and it works so well. You never feel like the stakes are too high, as there’s always another tournament to enter, and you’re free to leave and continue your game at any time. Honestly, it’s a simplistic stroke of multiplayer genius, and it amazes me it’s taken this long to think of implementing something like this. CPU Tournaments, however, are a bit of a letdown. Sure, the basics are all there, and in this day and age, that alone is a blessing, but they feel so much more shallow than the tournaments in the old Mario Tennis games. There’s a cute commentary feature that you’ll probably be turning off pretty quickly as it has a tendency to get in the way, and each character gets a little introduction cutscene when they start a match, but there’s unfortunately no winning animations like there were in the prior entries. This lack of such an iconic Mario Tennis feature leaves you feeling hollow after completing a tournament, and again, the lack of unlockables for your work only adds to those empty feelings. The biggest nail in the coffin for this mode, however, is that it ends at the Star Cup. In a normal Mario Tennis game, this is the last of the “easy” matches, before you would start going into much longer matches, against much harder computers. However, in Aces, this is where the journey ends, with no fanfare or excitement for having triumphed against your foes. The whole experience feels hollow and leaves you feeling like you haven’t really accomplished anything. At the end of the day, Mario Tennis Aces feels more like the framework for a good Mario Tennis game than an actual, fully fleshed-out game. The core gameplay is solid, but it lacks the soul and charisma that the series is known for. Unfortunately, this is hardly the definitive version of Mario Tennis – unless you plan on playing almost entirely online, Mario Power Tennis has more content to offer and presents it in a much prettier package. All that said, there’s plenty of good to be found in this game. It’s just lacking too much to ignore, and that keeps it from being the Mario Tennis longtime fans have been hoping for. Is it worth picking up? Sure. Just don’t expect to get blown away by this one. 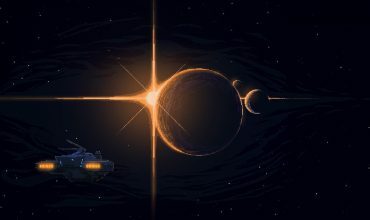 Written by: Lukas Termini on July 5, 2018. At the end of the day, Mario Tennis Aces feels more like the framework for a good Mario Tennis game than an actual, fully fleshed-out game. The core gameplay is solid, but it lacks the soul and charisma that the series is known for. 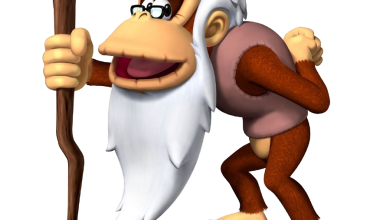 Why Be Cranky About Donkey Kong Country Tropical Freeze?